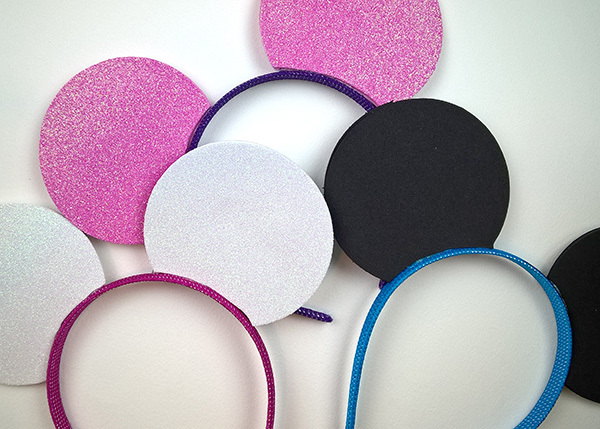 Home » All Things Disney » Easy DIY Mickey Ears – Perfect for a Mickey Mouse Clubhouse Birthday Party! 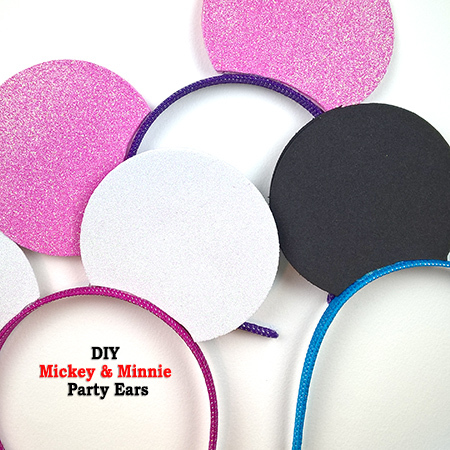 Easy DIY Mickey Ears – Perfect for a Mickey Mouse Clubhouse Birthday Party! Disclaimer: I received the #DisneyKids Preschool Playdate Kit for no cost for the purposes of review and party planning all opinions are very much my own. As I’m preparing for our #DisneyKids Preschool Playdate I wanted to share the easy (and cheap!) 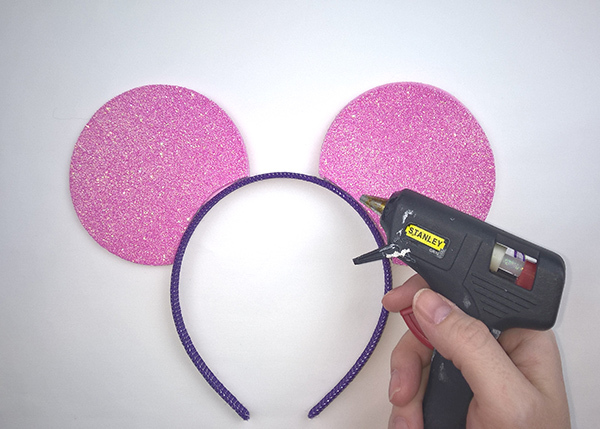 DIY Mickey ears we made. 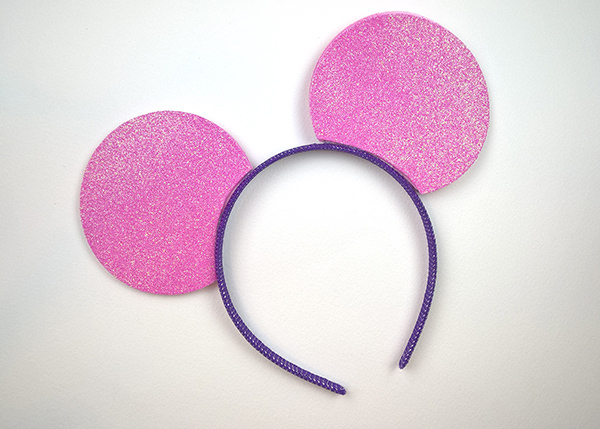 Perfect for a Mickey Mouse Clubhouse-themed birthday party or a fun craft to get ready for a Disney Parks vacation! 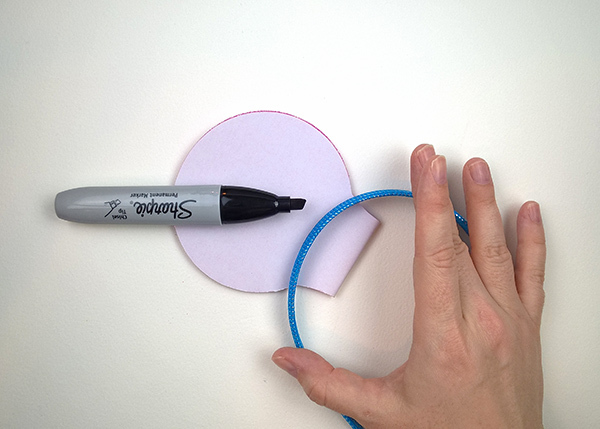 I started with the Mickey Ears Template from DisneyFamily.com. But, I found the proportions to be WAY off. So, we’ll do some modification. In the words of Tow Mater “I’m Moderfied!”. I’m sorry I’ve watched Disney Car Toons more times than I care to admit..
First, click on the big blue print button on the Disney Family template. You’ll need to adjust the print size. I found the size of the ears as-is to be appropriate for a toddler. Which is totally fine, but we needed something bigger. So, I enlarged the print by 15% in my printer settings, and this produced a good kid size. If you’re going for an adult-sized headband you may need to enlarge just a bit more. 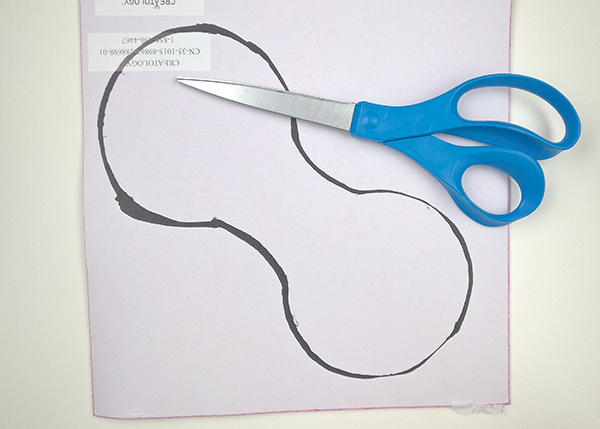 Cut out the template, and find your craft foam. 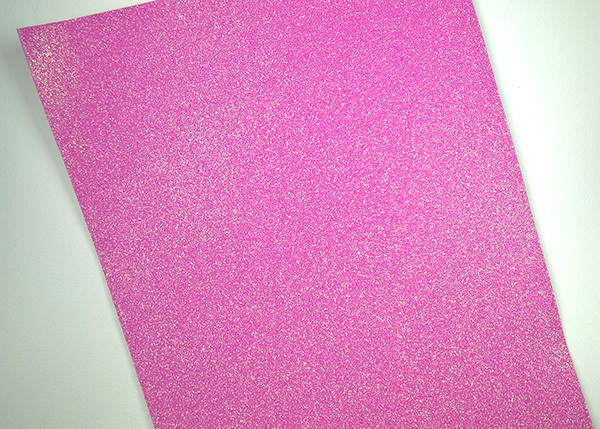 I’m using a glitter foam sheet from Michaels that cost $1.47 each. But, I used a 30% off coupon to make the cost $1.02. 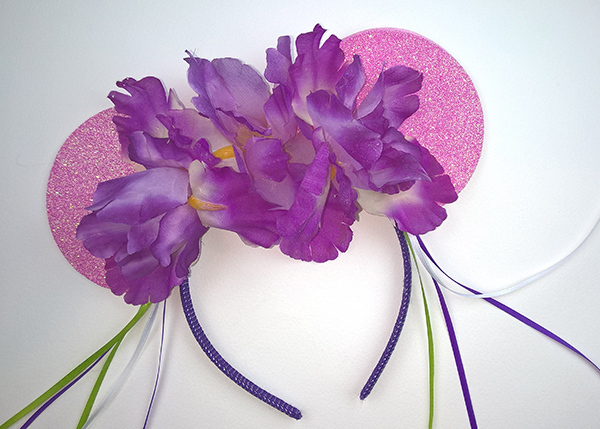 Each 9 x 12 sheet produced 1 kid-sized headband. 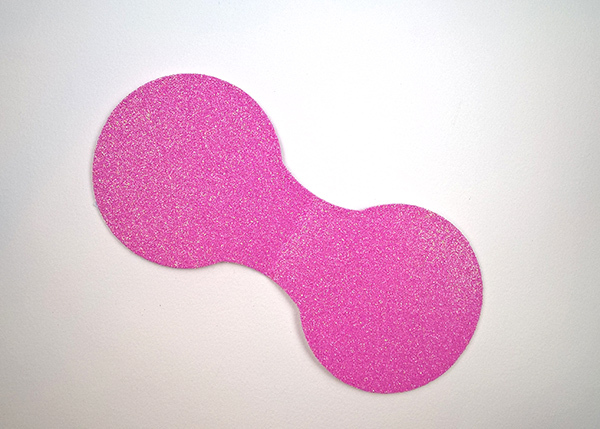 If you use regular foam sheets the cost will be much lower. Try to buy in a multi-pack with a 50% off coupon. Walmart has individual craft foam sheets for $.33 each, but the sheets are smaller, and I found the selection to be limited. My headbands were stashed in a drawer from a craft I tried, but never completed. I believe the cost was somewhere in the vicinity of $2.50 per package of 3. Amazon has a ton of low cost options for bulk headbands, or check the dollar store! 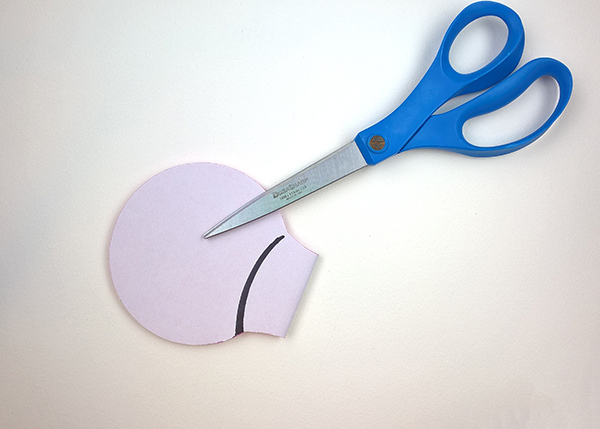 Trace the template onto the back of the foam sheet, and cut out. If you wrap it around the headband as-is, you’ll notice there is too much space allocated for the headband, and the ear sticks out awkwardly. It also doesn’t have the same look as the Mickey ears purchased at Disney Parks. We’re going to fix that. Don’t use a Sharpie like I did, I accidentally got black Sharpie all over the headband. Ick! 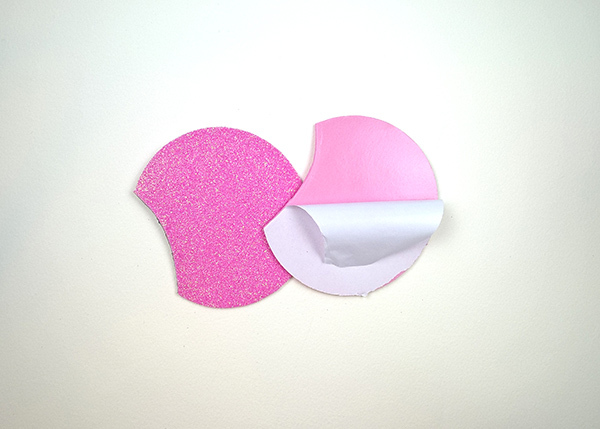 Then stick the two pieces of foam together. 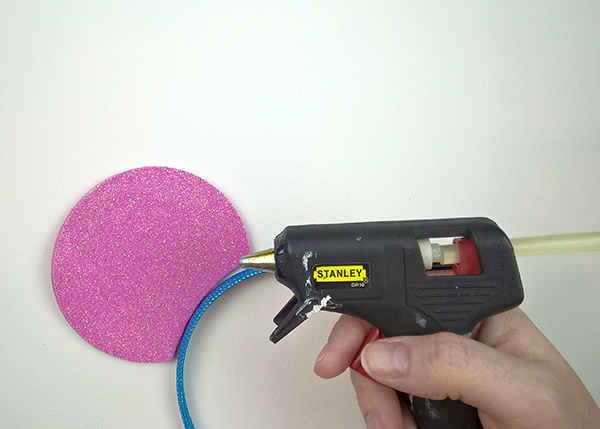 It’s also important to test glue on any foam before you use it. Foam and glue doesn’t always play nicely, and in some rare cases it can melt, so please be careful. 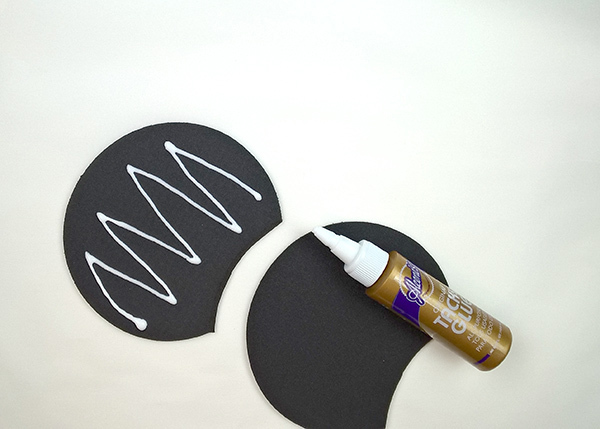 If you’re using tacky glue, let it dry completely. Then, heat up your glue gun. 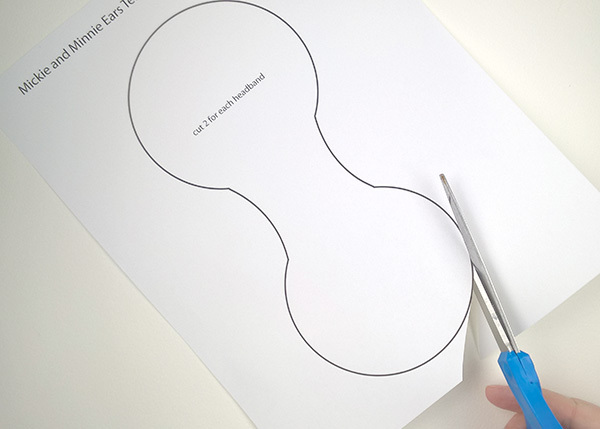 Place a thin line of glue on the headband, and gently press the foam ears into it, hold in place for a minute. Decorate as you wish, or hand these cuties out! Check out this next post where we add floral and ribbon! P.S. I love to see your creations! Tag me on Instagram, Twitter or post to the Pixie Budget Facebook page!